Listed here are just a few of VenueMagic’s features and capabilities. You can also click on the links below to check out more features. Find out what VenueMagic can do for you! 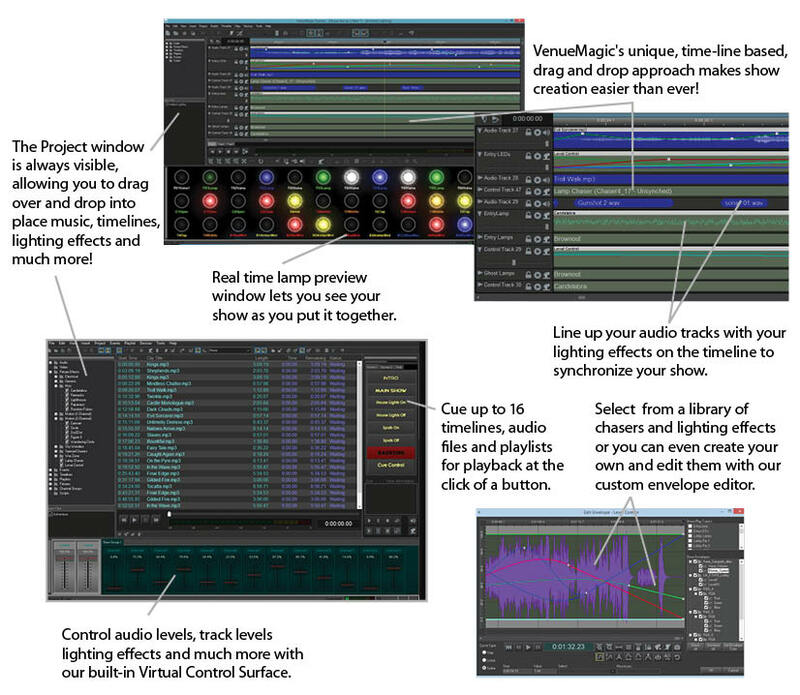 Create spectacular shows with precisely synchronized audio and DMX lighting using a powerful, easy to understand graphical timeline-based editor. Single audio track for playback. Run an unlimited number of timelines simultaneously. Overlapping channels are merged together. Sync chaser effects to the Beat Tapper to give you complete real time control of chaser sequences. Click here to download a FREE 15-day Trial!